"[A]n engaging collection of essays mainly about South Africa. 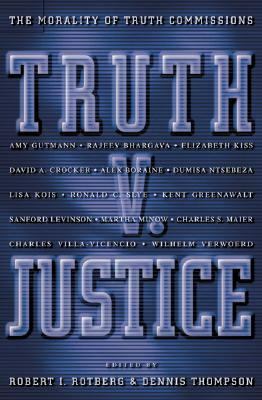 "Rotberg, Robert I. is the author of 'Truth V. Justice The Morality of Truth Commissions', published 2000 under ISBN 9780691050720 and ISBN 0691050724. Loading marketplace prices 61 copies from $15.93 How does the rental process work?